Barbie release date is set for Friday, May 8, 2020. This will be a Nationwide in theaters release. A Barbie doll living in Barbieland is expelled from the world for not being perfect enough, too eccentric and not fitting the usual mold. She goes on an adventure in the real world and by the time she returns to Barbieland to save it, she has gained the realization that perfection comes on the inside, not the outside, and that the key to happiness is belief in oneself. Based on the Mattel toy line. This will be a live-action PG-rated film (Deadline.com, 12/2/16). 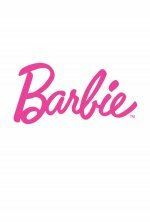 The film will exploit Barbie’s evolution into dolls of different sizes and shapes (Deadline.com, 12/2/16). This will be a fish-out-of-water story reminiscent of films like Splash, Enchanted and Big (Deadline.com, 12/2/16). Amy Schumer has parted ways with Sony’s live-action Barbie over a scheduling conflict, Variety has learned (3/23/17). The film rights have lapsed with Sony so Mattel is shopping the rights (Variety, 10/3/18). Margot Robbie is in talks to star and produce. “Playing with Barbie promotes confidence, curiosity and communication throughout a child’s journey to self-discovery," Margot Robbie told USA TODAY (1/8/2019). "Over the brand’s almost 60 years, Barbie has empowered kids to imagine themselves in aspirational roles from a princess to president. I’m so honored to take on this role and produce a film that I believe will have a tremendously positive impact on children and audiences worldwide."